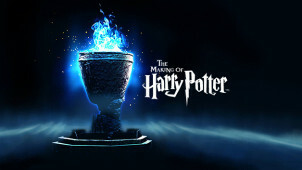 Harry Potter Private Tour from £47 at Harry Potter Studios Kids go free! Family Tickets from £148 at Harry Potter Studios 2 adults & 2 children OR 1 adult & 3 children! When J.K Rowling started writing Harry Potter and the Philosopher’s Stone in an Edinburgh café, she probably never imagined her book would one day be recreated on the big screen, for millions of people to enjoy. Today, the Harry Potter Studios tour is enormously popular and during busy times, it can be difficult to find a free slot. The studios are vast and there is a huge amount to see on the tour, so it pays to plan your visit in advance, including booking tickets! Unless you live locally, it may be worth booking overnight accommodation so you can make the most of your trip to the Harry Potter Studios. There is accommodation nearby to suit all budgets and central London is only a short train ride away. Book your accommodation online when you look for vouchercloud Harry Potter Studios voucher codes and special offers. Digital guides are available to enhance your studio tour experience. These can be booked in advance. You may also wish to watch the Harry Potter movies before you take a tour of the Harry Potter Studios; that way you can make the most of your day out. Don’t forget to sample some Butterbeer and Butterbeer flavoured ice cream. It’s delicious! How do I use my Harry Potter World discount? Enjoy your day out for less! If you are visiting with children, you can save money by booking a Family ticket. This is suitable for two adults and two kids, or one adult and up to three children. Book your trip to the Harry Potter Studios three months in advance and make the most of discounted rail fares. Don’t forget to give the kids some pocket money, as there are some smaller items available from the gift shop. How do I purchase Harry Potter gift tickets? You can buy gift tickets to give to friends and loved ones. These can be bought in the usual way from the Harry Potter Studios website. If you choose to have your tickets posted, you have the option of writing a personalised message to the gift recipient. The person will then have to contact Visitor Services to book their time slot. Alternatively, your gifted tickets can be collected at the studio, directly by the recipient. You can see all kinds of sets and props from when the Harry Potter movies were filmed, including the Knight Bus from Harry Potter and the Prisoner of Azkaban, the Atrium from the Ministry of Magic, The Great Hall, The Burrow, and thousands of other items used during filming. Expect to see a lot of magic wands! The only things you won’t see are the kittens from the plates in Umbridge’s office; these all went on to become much-loved pets. The studios are conveniently located next to the M1 and M25 motorways, just 20 miles from central London. There are regular public transport links, and full information on directions can be found on the Harry Potter Studios website. Use the online contact form to get in touch with them here. Opening and closing times change daily, please take a look here to plan your visit. When you buy tickets you will be given an allocated time slot. It is recommended that you arrive no earlier than 20 minutes before your time slot. Take a tour of the Harry Potter Studios - the place where the big screen adaptations of J. K. Rowling’s famous boy wizard and his adventures were filmed. If Quidditch is your favourite sport and you’re partial to a chocolate frog, you’ll feel right at home! Experience the magic of Hogwarts this year, climb aboard the Hogwarts Express and marvel at the props and sets where the Harry Potter films were brought to life. Use a Harry Potter World discount to save money on your entrance, making your time on the tour all the sweeter! Harry Potter World is a place you can return to again and again. Not only is there a huge amount to see, but there are frequent events and special exhibitions that means there’s always something new to see. This year, you could enjoy a treat in the Great Hall, an introduction to the Art Department and a special Goblet of Fire exhibition. Why not make your trip extra special by booking one of these events today? For an extra special Harry Potter Studios experience, you should opt for a Deluxe Tour ticket. The deluxe package gives you a complimentary two-hour tour of the studio set, reserved car parking (if applicable), free photos and a video, a souvenir guidebook, and free refreshments. Book with our Harry Potter World vouchers and you’ll save a packet on your experience: it’s a great way to treat someone special this year!